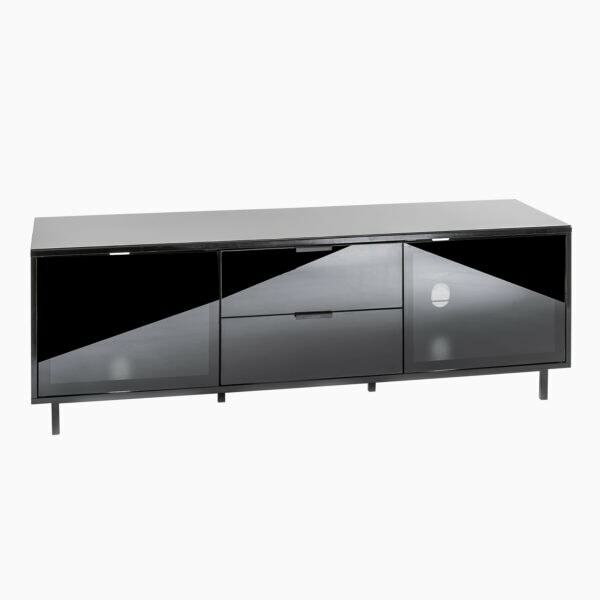 Large Black gloss timber cabinet for up to 65 inch flat screens – 1500mm wide, glass beam thro doors, castors fitted, rear ventilation – Fully Assembled Free Delivery. The Diamond MMT-D1500/3 is a stunning black gloss TV cabinet that can hold up to 65″ TVs and provides plenty of equipment space for home cinema fans. 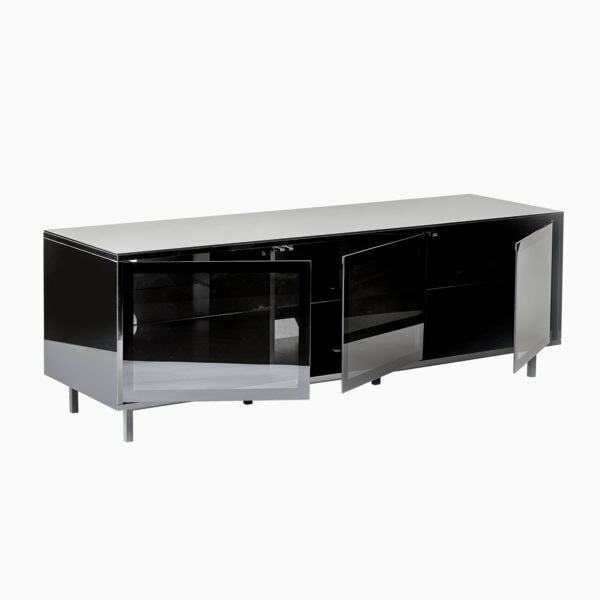 The cabinet is finished in a deep gloss black and a 6mm tempered glass top further accentuates the quality of the unit. Designed with home cinema equipment in mind, the cabinet features a usable internal depth of 430mm, allowing space for the cables and connections of even the deepest AV amplifiers. The smoked glass doors open to reveal 3 spacious equipment compartments, each with its own adjustable glass shelf. Remote control friendly “beam through” door glass allows you to operate your AV equipment while keeping the door closed, helping to protect your AV equipment from dirt & dust. The optional X-Arm mount transforms the MMT-D1500/3 cabinets into a fantastic cantilever style unit with swivel action TV bracket, leaving the top of the cabinets free for sound bars and other speaker options. The X-Arm mount easily attaches to the rear of the cabinet using the supplied bolts. The bracket uses industry standard VESA hole placement, just match the bracket arms up to the VESA holes on your TV and secure using the supplied fittings. Suits flat-screen TVs between 40" and 65"